Who doesn’t love chocolate fondue? 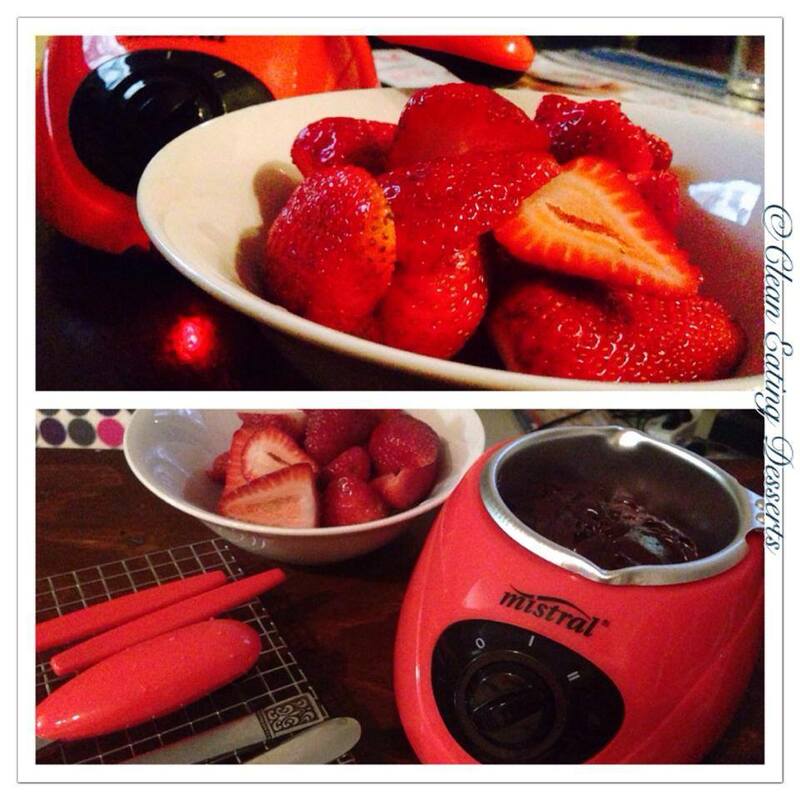 Who doesn’t love chocolate fondue with fresh strawberries and other fruits and bread to your liking?! This recipe is so easy and simple that you can do it in your sleep! All you need is pay a visit to your local fruit barn to grab those strawberries (whilst they’re in season!) and the health food store for those organic simple ingredients to get this started! Place the coconut oil, agave syrup/honey and cacao powder in a bowl and mix thoroughly till smooth. If you have a fondue maker, pour the mixture into the saucepan provided. Alternatively heat over a low heat on your cooktop. Dip the strawberries, or other fruits/banana bread as desired and enjoy! Fruit and chocolate in one healthy dish? You thought it was impossible right?! Make this dessert for that special occasion, or invite friends over for high tea!